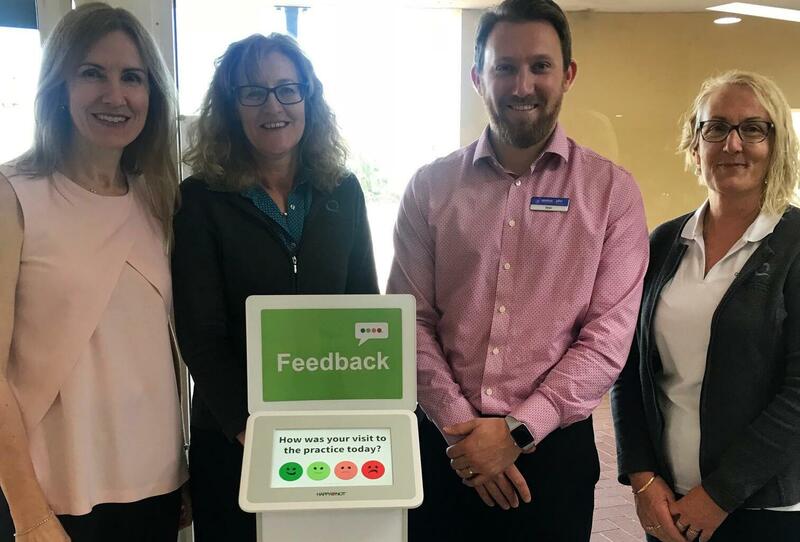 WA Primary Health Alliance (WAPHA) has recently implemented HappyOrNot, the smiley face customer satisfaction service, in selected general practices in Western Australia, giving patients a simple way to provide immediate feedback on a visit to their local GP. Patients attending these practices will be asked questions like “How was your visit to the practice today?” and can select one of four Smiley faces, as well as provide additional feedback and comments, via the HappyOrNot Smiley Touch™. With continuous real time response data available to them, practices will be able to see how their patients feel about the services provided throughout the day. The additional feedback and comments will allow them to identify reasons for both satisfaction and dissatisfaction with the service. WAPHA general manager Bernadette Kenny said HappyOrNot is aligned with the organisation’s focus on patient-centred care and ensuring patients are actively involved in decisions about their care. “The practices using HappyOrNot are enrolled in our Comprehensive Primary Care Program that has a strong focus on engaging patients in their care as well as building capacity and capability within the practice and improving overall patient health outcomes. “However, unless GPs and other practice staff know how they are doing and have insight into what matters most to their patients, they can’t take the necessary action to refine and improve their service. “For us, the most critical part of implementing HappyOrNot is the information that practices can use to inform continuous improvement. “So far, there has been an overwhelmingly positive response from practices and patients, with practices receiving more than 500 feedback responses a day. That number will increase as more practices come on board and both patients and practices realise the benefits,” Ms Kenny said. WAPHA joins other Primary Health Networks around Australia to have implemented HappyOrNot in selected general practices who can now benchmark their happy index with their industry peers. ”We want patients’ ongoing feedback so that we can continually improve patient care and the way that we deliver our services!” A CPC Practice in Perth North PHN. Sometimes, traditional feedback options can focus on the negative, but the ability for patients to provide comments with HappyOrNot after receiving great service provides a bonus. The number of positive comments coming through from patients of the WA practices shows the level of personal care that the staff are providing to their patients. Being able to share these comments with staff will reinforce that commitment and help reward them for their hard work. WA Primary Health Alliance (WAPHA) is a federally funded commissioning body that partners with GPs and other health professionals, service providers, and state and federal stakeholders to lead the development of an integrated, patient-centred primary healthcare system. WAPHA operates the state’s three Primary Health Networks whose objectives are to increase the efficiency and effectiveness of health services for patients, particularly those at risk of poor health outcomes, and improve coordination of care to ensure they receive the right care in the right place at the right time. WAPHA are helping to join up the health system to make the patient journey simpler, recognising the pivotal role that GPs play in helping people stay well in their community. Visit https://www.wapha.org.au/ for more info. Push my Button is a reseller for the HappyOrNot service throughout New Zealand, Australia, and the Pacific Islands. HappyOrNot is used by over 160 airports worldwide to improve the passenger experience in areas like security, check-in, washrooms, arrivals, baggage reclaim, and more. Visit http://www.pushmybutton.co.nz/ for more info.